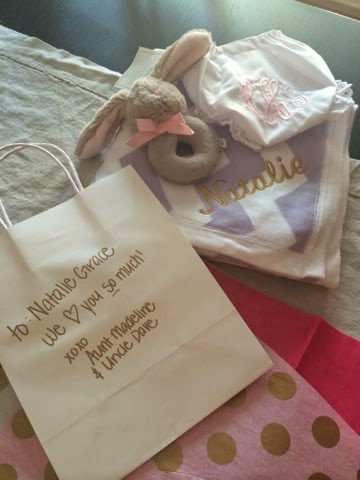 elle + j: meet natalie grace! 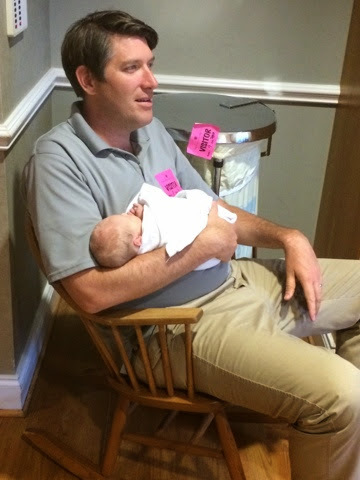 On Wednesday, July 23, at 6:39am little Miss Natalie Grace Hughes entered the world! She weighed 7 pounds 11 ounces and was 19 1/2 inches long. 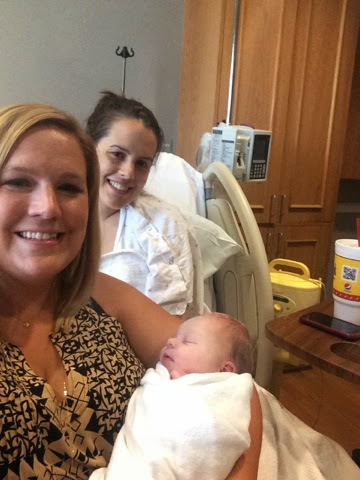 My sweet sister-in-law had a very long labor (in my opinion)! But she and the baby are both happy and healthy- so blessed. 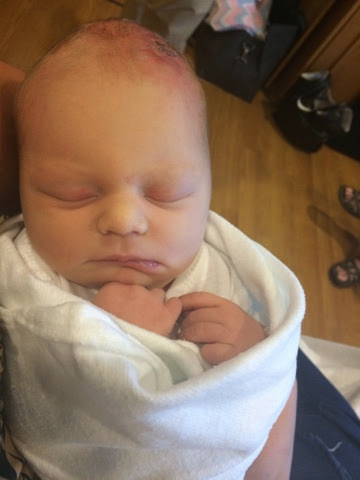 She is just a precious little doll and I am already so smitten with her. Tuesday we got the news that she was in pain, having contractions. I immediately FREAKED out. Like ran and fixed my hair, planned my outfit, changed a meeting.... you would think I was the one having the baby. My in laws drove to town and got in around 6. We all headed to dinner, for some reason thinking after dinner the baby would be here and we could visit. hahaha! My MIL and I stayed up until 2:30am waiting for word that the baby had arrived! She continued to dose on the couch and I got in bed. We woke up around 6am, still NO BABY! We finally got the text that she had made her debut. I was SO excited! We got to the hospital a little after 8am and were so happy to meet Natalie and see her parents. After visiting for awhile, we knew the new parents need REST and so did we. But I was too excited! So I did what anyone would do....I dashed over to the mall and got a blanket with her name on it and a monogrammed diaper cover. never too early for some selfie action! 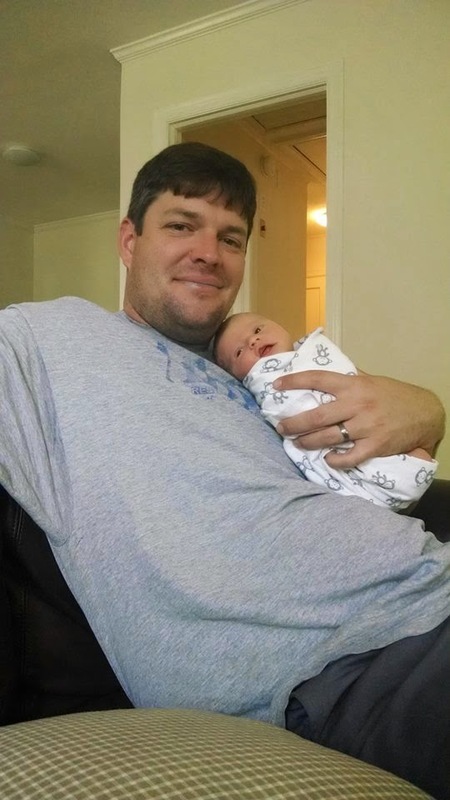 I love love love this pic of my brother in law with his new baby girl! Can't believe her first week has already flown by!! Love this little girl so much!